Invisalign Perth - Straighten Your Teeth Without Braces! What are Invisalign Dental Aligners? Invisalign enables you to straighten your teeth using nearly invisible, removable aligners that are custom made specifically for you. Invisalign’s transparent aligners can be suitable for teenagers and adults alike. They give people smiles that are straight and devoid of alignment issues, and do so without the assistance of conspicuous brackets and wires. They make a fantastic alternative to standard metal braces. 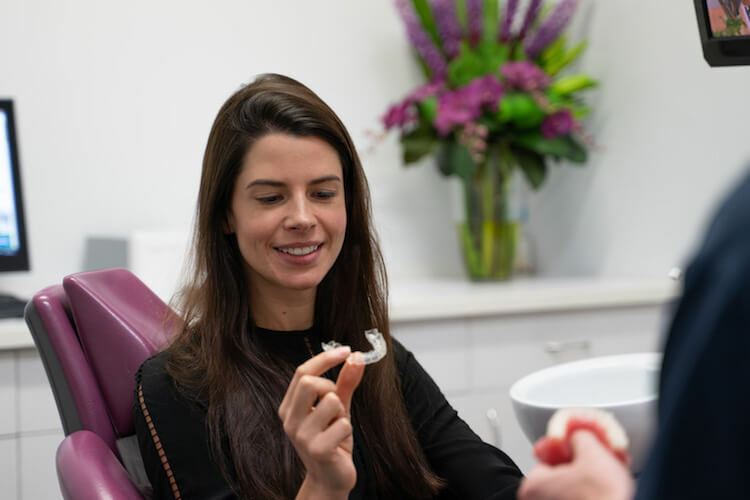 If you’re tired of hiding your smile and avoiding opening your mouth in social situations, our Invisalign Perth treatment may be a convenient and stress-free path for you. Our Perth patients who opt for this method of treatment have the freedom to take out their aligners whenever they wish. This can make eating meals, flossing and brushing remarkably simpler. Since people can take these aligners out, they don’t interfere with normal life at all. If you have plans to attend a party with all of your closest friends, Invisalign’s aligners can keep you from feeling awkward and insecure during mealtime and snacking. Removing these aligners prior to eating and drinking is easy. 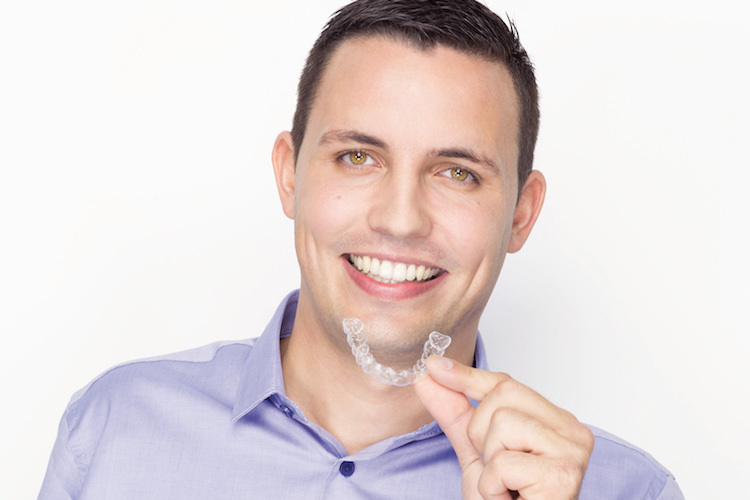 Invisalign’s clear aligners encourage the teeth to shift in a gradual and measured manner. People who rely on Invisalign don’t have to change their basic lifestyles in any way. This treatment can help people who are active and constantly on the go. Are They Suitable for All Perth Patients? Most Perth patients who need teeth alignment treatment respond well to this type of treatment. People who require standard braces can in many situations opt for Invisalign instead. For example, our Invisalign Perth treatment is ideal for individuals who have spacing issues that are anywhere between mild and moderate in severity. People can keep track of their treatment progress without issue. Routine appointments are made available for those who want to note any changes in teeth alignment. If you want to learn more about Invisalign aligners and how they function, the team here at 123 Dental Perth can help. Schedule a consultation with us today. If it is your first time, please download patient registration form here, fill it out and bring it to your appoinment.